An electric bike, or e-bike, is a bicycle that has an electric motor. This motor is used to help push the bicycle along. One of the features of electric bikes is that they aid riders in pedalling. These therefore enable you to move at faster speeds. Depending on how powerful the motor is, the thrust that it provides may vary. 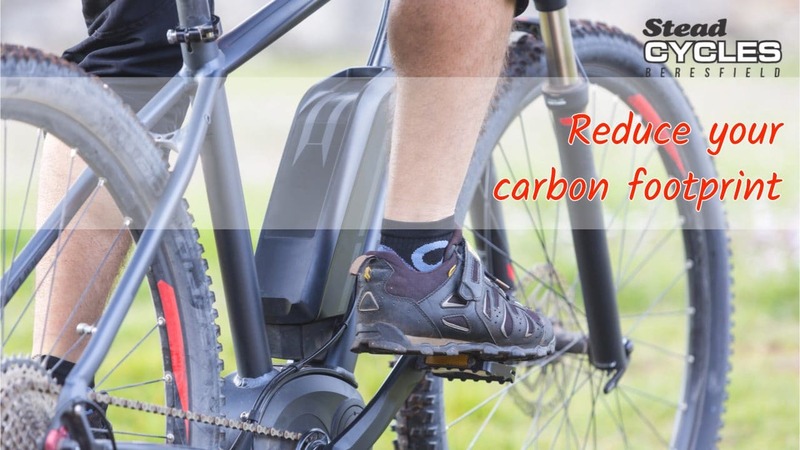 On average, an e-bike can go up to speeds of 25 to 45 kilometres per hour. But, despite having a motor, the rider still has the ability to fully control the pedals of their bike. Rechargeable batteries are used as the power source to these vehicles. The great thing about electric bikes is that they really pack a punch. Compared to a regular bike, these have a lot more push and power. Electric bikes can, therefore, propel the rider forward at great speeds. Although the rider still has to pedal in order to make the bike move, it takes a far less effort to do so compared to normal bicycles. The motor is regulated by pedalling, and provides you with an easy and comfortable ride. However, there is no need to worry about speeding off too fast. Electric bikes can now sense when you are going at too quick a pace and activate the brakes. In contrast to ordinary bikes, electric bikes are quite powerful machines. These may sometimes be likened to a moped or a small motorcycle. However, there is one big difference from these vehicles, as well as compared to other forms of transportation like automobiles. Although electric bikes give you speed, they emit zero pollution. By using these bikes, you can significantly reduce your carbon footprint. This way, you will be able to contribute to saving the environment while still riding in style. 3. Stay fit and healthy. No matter what kind it may be, riding a bike will always have great health benefits. It is an easy and wonderful way to work on your fitness and get into good shape. You activate all the parts of your body while getting your blood pumping hard. It truly is an all-around workout. 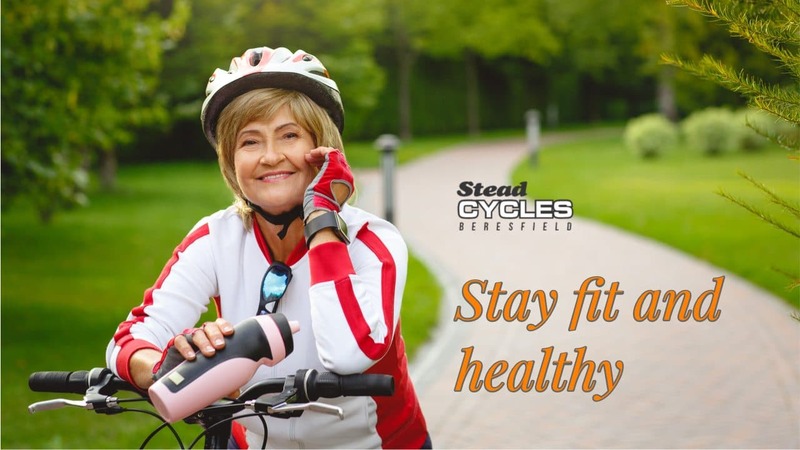 Electric bikes, in particular, are perfect for those undergoing any sort of cardiac or physical rehabilitation. Since they require less effort to pedal, they are easier to ride compared to an ordinary bike. Despite this, you still get the important exercise you need from an electric bike. 4. Save your time and money. Electric bikes have a similar power output to small motorcycles and mopeds. E-bikes, however, are more convenient to ride around, and are more cost-effective. Plus, unlike motorcycles, these are not subject to strict laws when it comes to certifications, licenses, and insurance. You can have the same benefits of a high performing vehicle without undergoing any of the legal hassles. Going through all these processes isn’t cheap either. 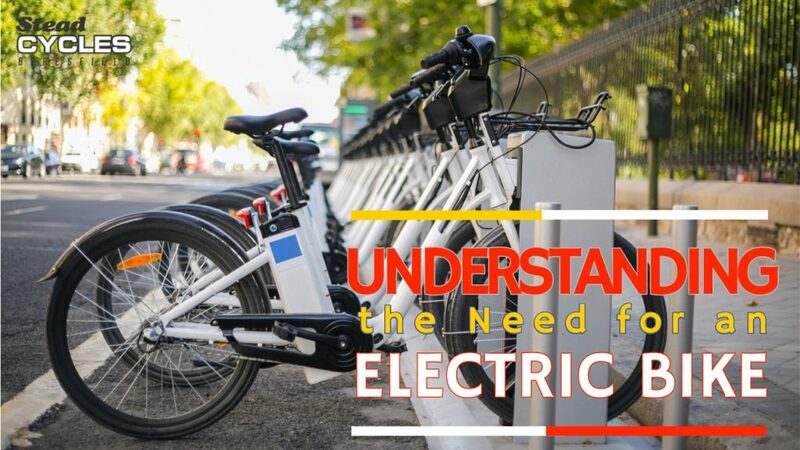 Moreover, maintaining an electric bike is more cost-effective as well. This is because it requires minimal taking care of and only requires its batteries to be recharged to work. 5. Travel with ease and comfort. 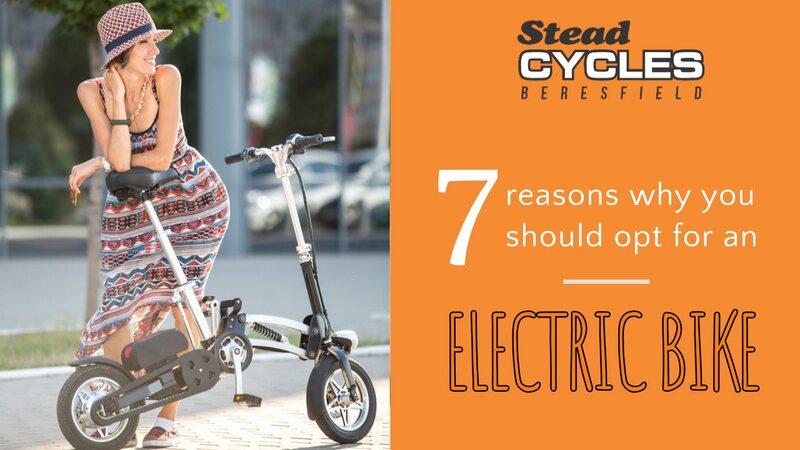 Taking your electric bike can be a great way to get around with ease and comfort. Say goodbye to road rage and miles of slow moving traffic. It will be such a convenience being able to dodge other motorists and taking control of your travel. No longer will you have to worry about unexpected hindrances and hassles on the road. There will be no need to take public transport either. No more sweaty commuters you have to cramp shoulder to shoulder with. No more rushing to get from one train to the next, either. You will now have space for yourself, with your time in your own hands. Avoid all the trouble and annoyance you normally experience when going from one place to the other. You can go to work, school, or anywhere you want with little effort – all while cruising comfortably and effortlessly on your electric bike. 6. Have some good old fun! Another reason for you to start hoping on that electric bike is that it’s just plain fun. Remember the good old days when you would just ride your bike around with your childhood friends? Well this is no different. Pedalling around can give you so much joy and help relieve stress. When you are out there, you can clear your mind and just enjoy the wind in your hair, and perhaps the occasional bug in your teeth as well. You can also immerse yourself in the beauty of your surroundings as you are one with the outdoors. Appreciate the fresh air and new perspective from your electric bike. Don’t forget to keep a constant eye on the road, though! 7. It’s an activity for everyone. Invite your friends, neighbours, and family to jump on an electric bike. In the long run, riding these things can also be a way to help out in your community. Get people out of their cars and onto bicycle seats. This helps to free up the roads and lessen congestion. The air will also be a lot fresher, which is for everyone’s benefit. 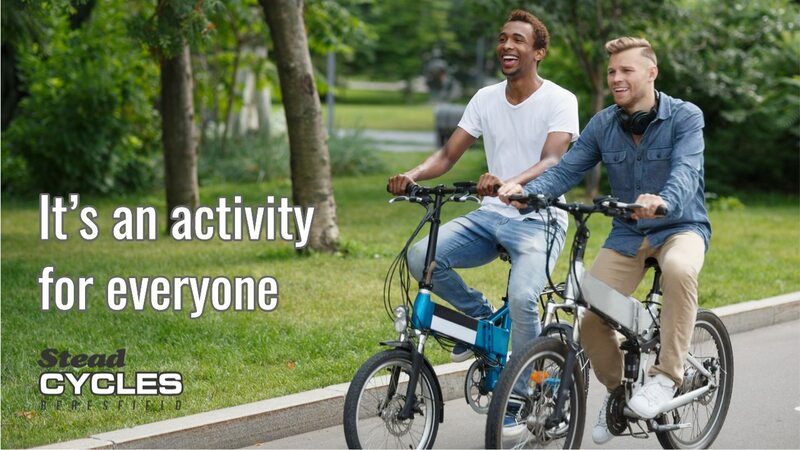 Moreover, taking your electric bikes for a spin can also become a good bonding and coming together activity. Have your whole community take part in these rides and you will surely build a stronger relationship with each other. An electric bicycle is definitely an essential thing to have nowadays. It will surely have great benefits in so many aspects of your daily life. 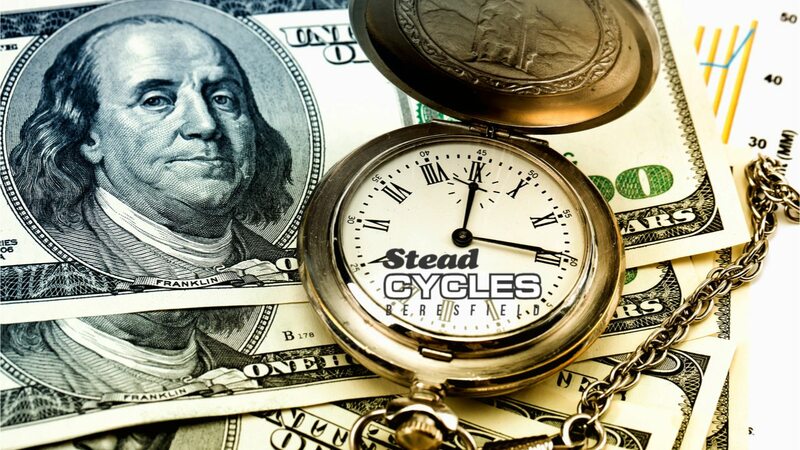 In order to purchase one, all you have to do is browse through the Stead Cycles website. We have the best bikes, parts, and accessories for beginners and enthusiasts alike. 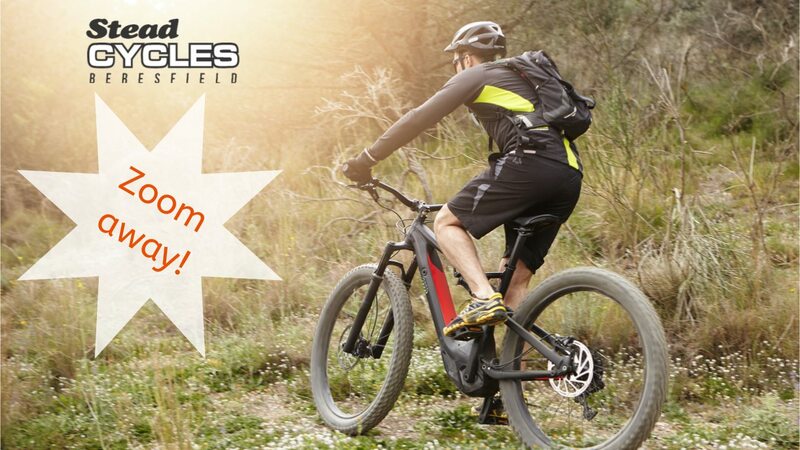 Go ahead and shop for the e-bike that works best for you!